Offspring: Continera, Di Caprio, Verdinale, Diassini 3, Zineline, Captain Picard, Zirassini Blue and "Neilan". 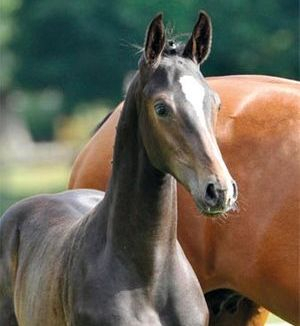 Zanzahra is a career broodmare from Holsteiner Stamm 1752. 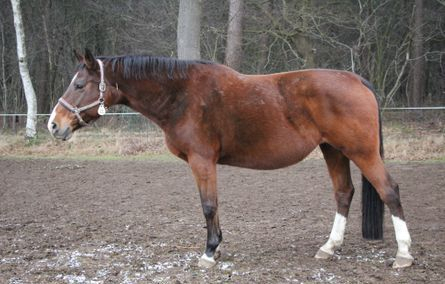 She is expecting a foal by Tangelo van de Zuuthoeve in June 2018! We are very excited to be adding this mare to the broodmare band of Mikali Farms!! She has been owned and in the care of her breeder Carsten Harms of Germany since birth. 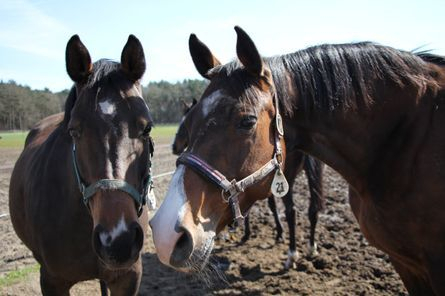 She has had 7 foals to date. 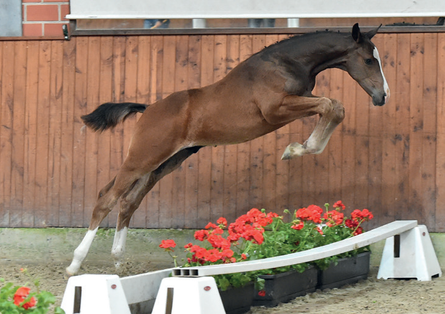 Diassini 3 - 2013 stallion by Diarado: currently jumping 1.15m/age classes with Oliver Ross (GER)/Claudia Wolff (GER). 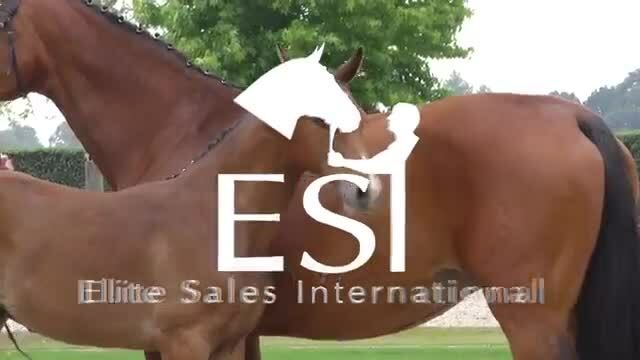 Captain Picard - 2015 stallion by Casall, sold via the ESI Auction. 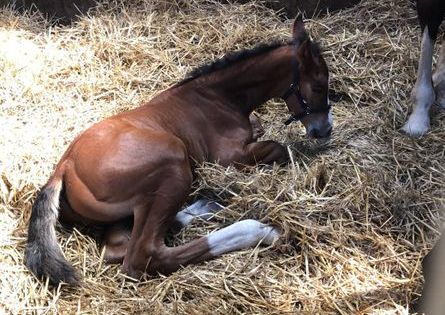 Zirassini Blue - 2017 Colt by Zirocco Blue, sold via the ESI Auction to the Netherlands. 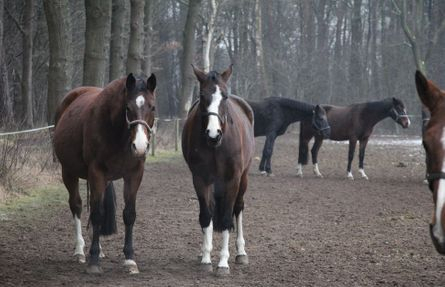 Cassini I: One of the most successful holsteiner stallions, Cassini I died at the age of 24 in 2014. 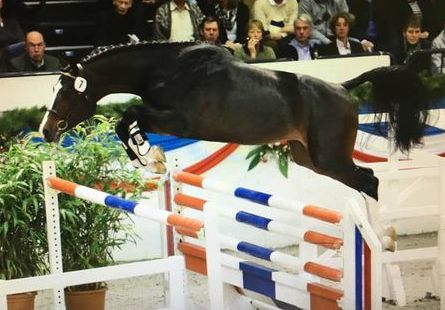 Cassini looked good at his stallion licensing especially in the freejumping, and followed that up with the fourth best score of his stallion test at Adelheidsdorf the next year. He was ridden as a five year old by Herbert Blöcker before the Dane, Bo Kristoffersen took over the next year qualifying the horse in grand style for the Bundeschampionate with seven wins. In 1997, Franke Sloothaak took up the reins and they went on to a string of successes at Grand Prix, Nations Cups and World Cup levels. 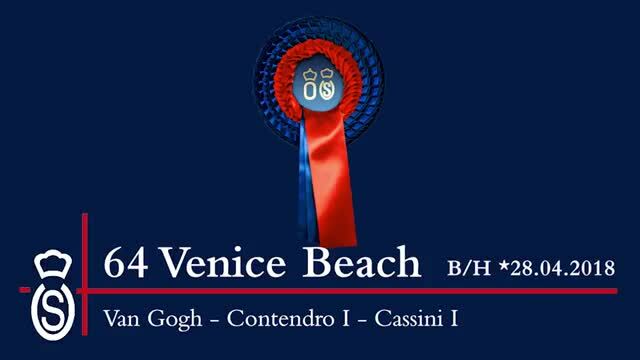 Sire to such champions as Eurocommerce Berlin, Cavalor Cumano and Carambole NOP, Cassini I has produced 25 more licensed sons! 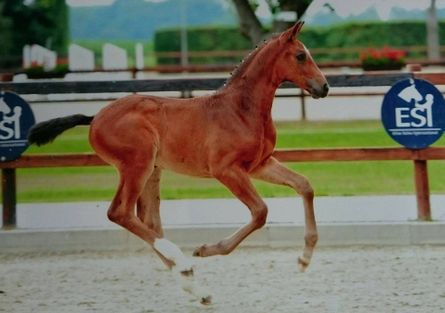 These are just a few examples of the Cassini I offspring in sport, which so far have won 3.5 million Euro: Cumano, Eurocommerce Berlin, Cocu, Pikeur Calanda, Verelst Curtis, Cashmira, Quite Cassini, Ci Ci Senjor ASK, H&M Cabrio van de Heffinck, etc. 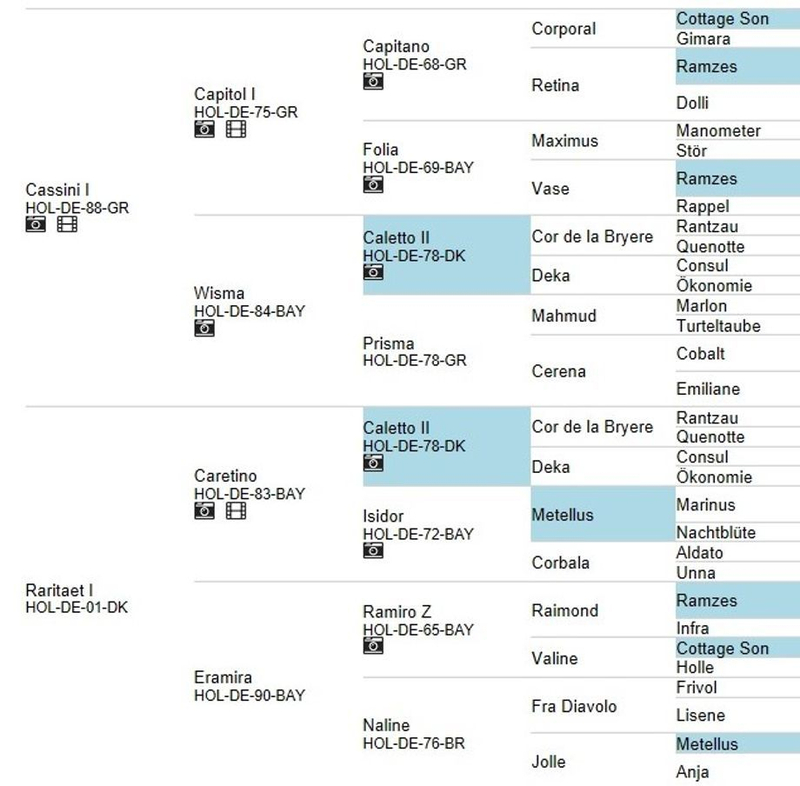 Caretino: When he died at the age of 28, Caretino was the last of the seven stallion sons of Caletto II to enter the Holstein Studbook. 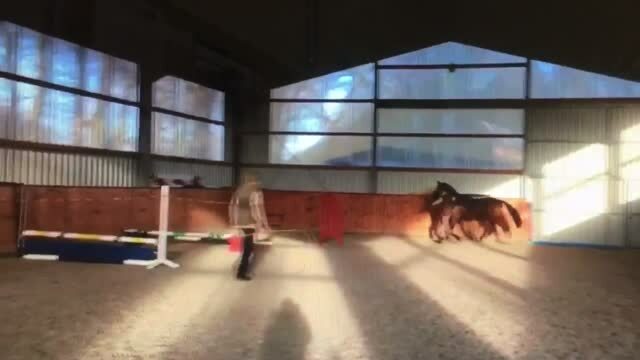 He revealed his qualities at the stallion performance test, where he received a jumping index of 145 points. 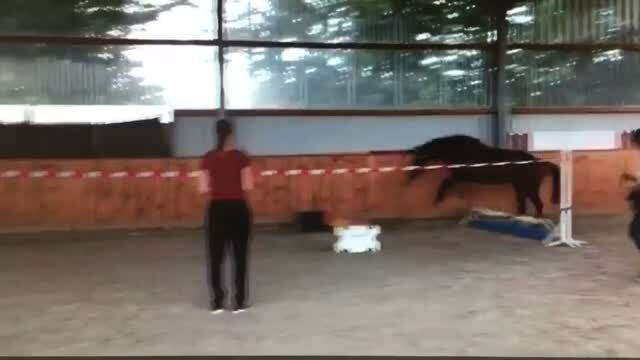 He went on to win numerous young jumper classes showing his outstanding jumping technique. At 5 and at 6 years old, Caretino participated in the Bundeschampionate under Thomas Schöning. 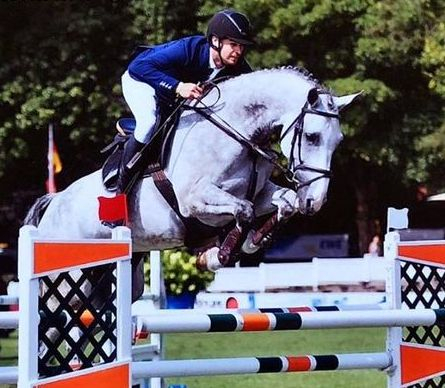 Bo Kristoffersen took over the ride on him a year later and commenced competing at Grand Prix and Nations Cup level for Denmark. At the time of his death, Caretino offspring had earned more than 3 million Euros. 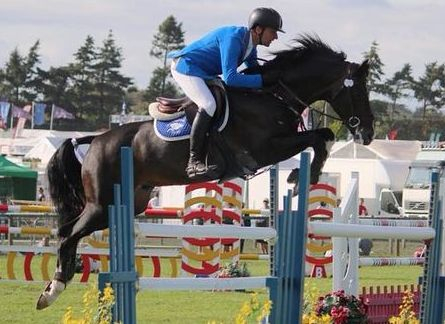 Caretino produced an impressive string of internationally successful show jumping horses, including Bernardo Alves' Chupa Chup, Richard Spooner's Cristallo, Jill Henselwood's Toyzrus and Rolf-Goran Bengtsson's Casall la Silla. Ramiro Z: Conceived in Holstein, born in Westfalia, licensed at Neumünster, and himself an international performer under Fritz Ligges, Ramiro influenced nearly all European Performance Studbooks. 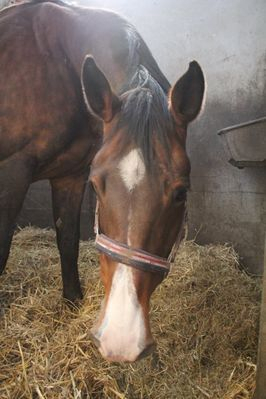 Ramiro was the most popular representative of the Ramzes line and at one stage was the most frequented sire in Germany. He stood at stud in Westfalia, Holstein, Zangersheide and Holland. 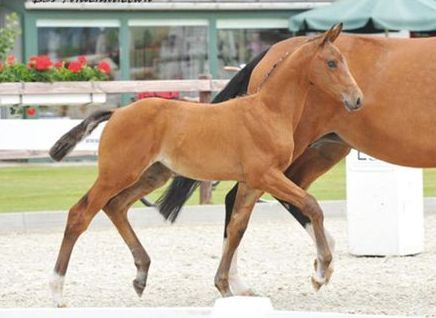 Ramiro’s influence on the Dutch Warmblood breeding was, and still is, of utmost importance. 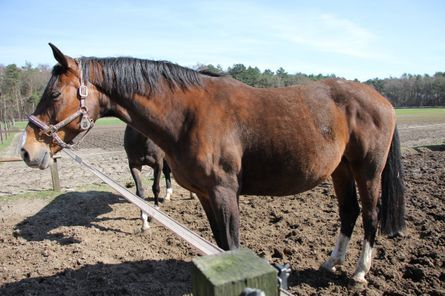 The Dutch bestowed the title – ‘Horse of the Year’ – on Ramiro in 1992. While he may not have established a sire line, Ramiro blood prevails in the mare lines! 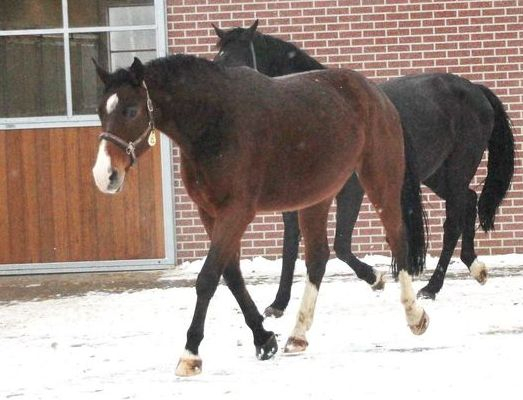 Zanzahra's dam, Raritat I, is a Holstiener mare that was born in 2001. In 2004, she was declared "Staatsprämie" in Elmshorn. 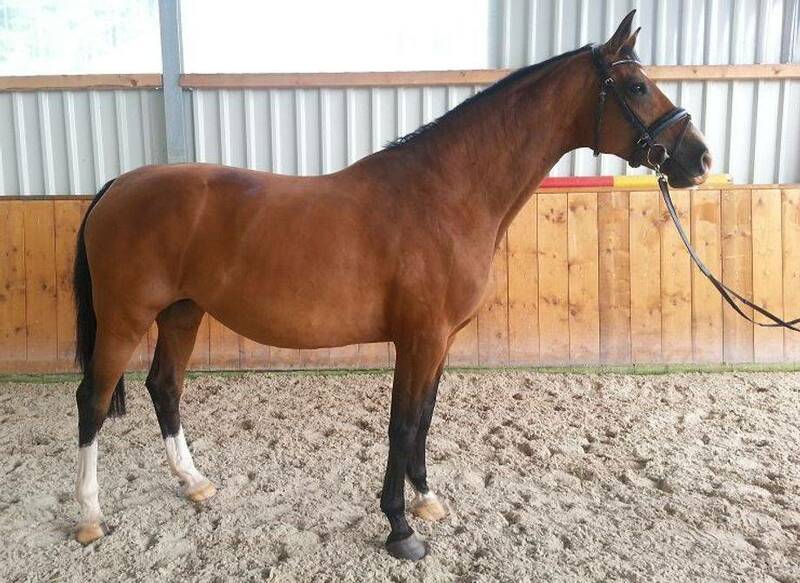 She has been a good broodmare for owner Carsten Harms (Radesta, Germany). 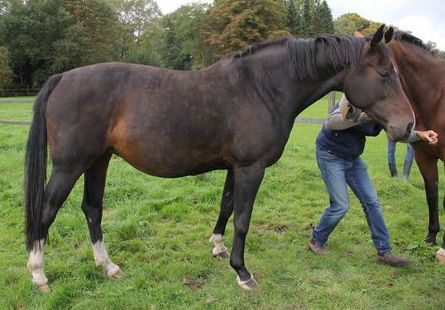 She is currently expecting her 10th foal in 2018 by the stallion Untouchable (Hors la Loi II x Heartbreaker). Ridden by Ludger Beerbaum. She competed to 1.50m. Ridden by Jannik Harms. Currently competing at the 1.40m level. 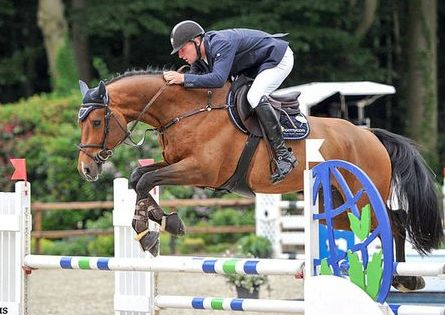 Ridden by Dennis Heyer, competing at the 1.35m Level. Sold at the ESI Auction to France. 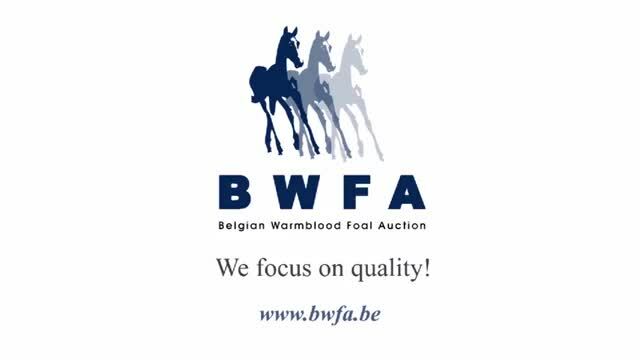 Sold at the Belgian Warmblood Foal Auction on 28 Sep 2018 for 9,000 Euro. Rated "Bezirkspramie" with the Holsteiner (7 7 7 6 6 7 7). Sold at the ESI Auction in 2014. Licensed at the 2016 Hoelstiner Korung in Elmshorn. 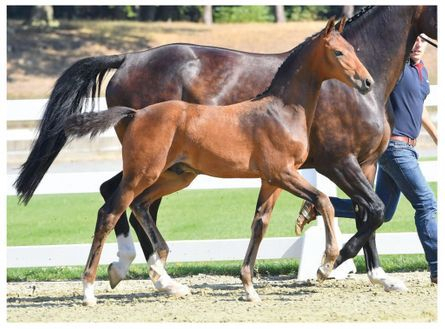 Sold at the 17th Oldenburg Elite Foal Auction (28 Aug 2018) for 15,500 Euro. Ridden by Ashley Ray (GBR). Competing at the 1.30m Level. 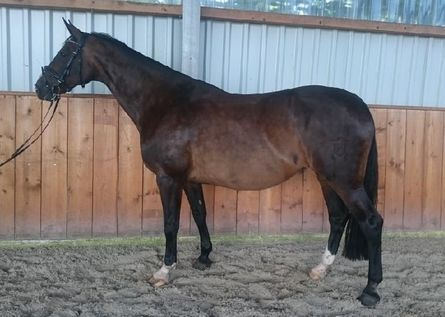 Breeding mare at Westfalen Swit in Russia (Sold at the ESI Auction). Ridden by Oliver Ross (GER). Competing at the 1.15m Level. Started her competition career. Ridden by Jannik Harms. Sold at the ESI Auction 2015. Sold at the ESI Auction 2017 to the Netherlands. 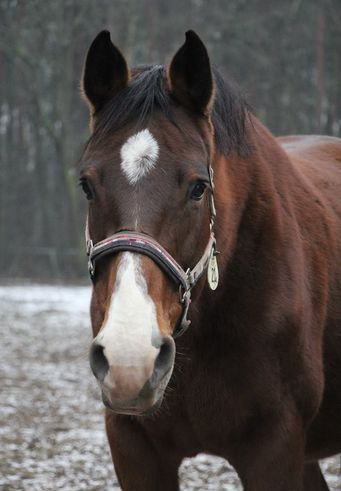 Zanzahra has arrived at Stal De Ontginning! The results from Zanzahra's coat colour analysis are in: She is EE AA, meaning that she can only have bay offspring!! 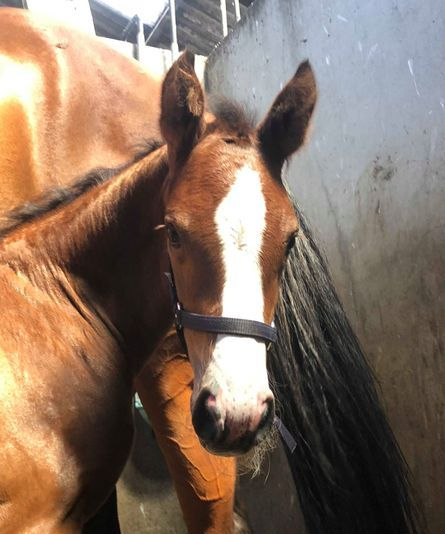 Born: June 21, 2018 - A colt!! 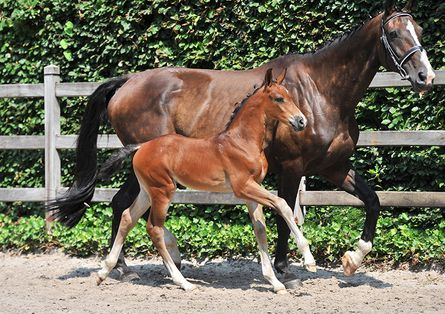 I am thrilled to announce the safe arrival of Zanzahra's eighth foal - a lovely bay colt by Tangelo van de Zuuthoeve. We will be naming him "Neilan" - a name of irish origin meaning "champion". 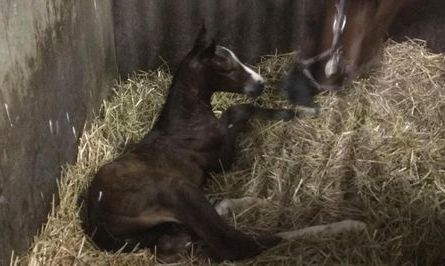 He is an athletic, attractive colt and we are very pleased to see another great example of what Zanzahra can produce! With a due date later in the season, we can only hope that Zanzahra takes on her first breeding attempt. 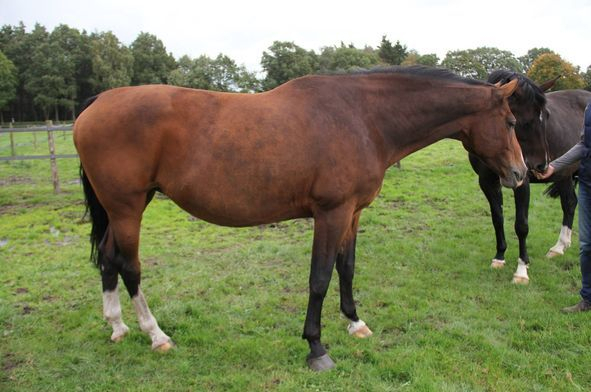 We have choosen the remarkable stallion Quabri de l'Isle for her this year. 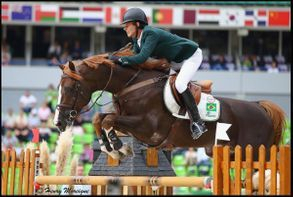 He particiapted in the World Equestrian Games of Normandy and took fifth place with the team of Brazil. 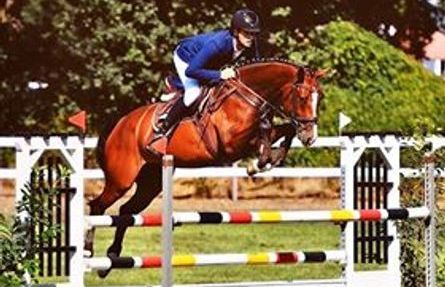 He had an individual 5th place at the 2015 Pan-Am Games in Toronto, an individual 16th place at the 2016 Olympic Games in Rio de Janeiro, winner of the Rolex Grand Prix of Geneva in 2016 - he has an amazing partnership with his rider Pedro Veniss! Fingers crossed for a positive pregnancy for this exciting match!! 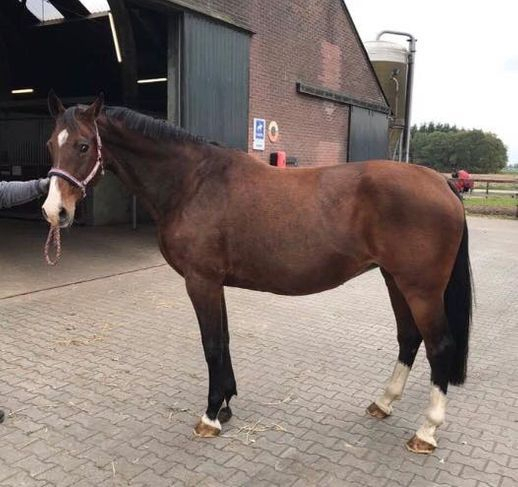 August 01: Zanzahra is in foal to Quabri de l'Isle!! 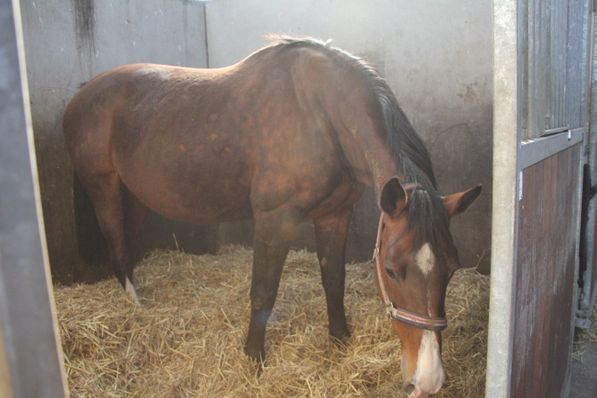 Visiting on February 01, Zanzahra is 198 days in foal to Quabri de l'Isle. 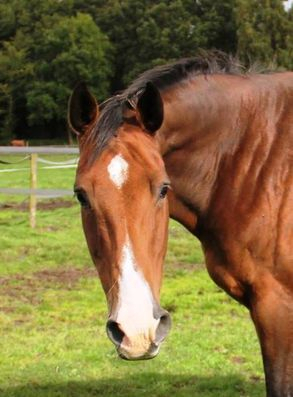 She looks happy, healthy and totally settled in to her new home. I have been impressed with the few Quabri offspring that I have seen, so I am very excited to see Zanzahra's foal this summer. 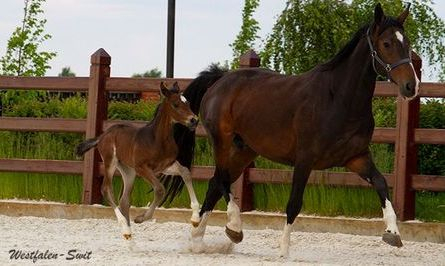 I am positive that it will be tall, athletic, beautiful and bay - just like mom!